The Blood of Olympus is the fifth book in the bestselling Heroes of Olympus series - set in the high-octane world of Percy Jackson. They must be stopped before the Feast of Spes, when Gaea plans to have two demigods sacrificed in Athens. She needs their blood -the blood of Olympus - in order to wake. The demigods are having more frequent visions of a terrible battle at Camp Half-Blood. The Roman legion from Camp Jupiter, led by Octavian, is almost within striking distance. Though it is tempting to take the Athena Parthenos to Athens to use as a secret weapon, the friends know that the huge statue belongs back on Long Island, where it might be able to stop a war between the two camps. The Athena Parthenos will go west; the Argo II will go east. It really is an thrilling end to the series. With Reyna Nico and Coach hedge having to achieve a quest to unite demi gods and te big 7 having to save the world. Well kill the world. Will they succed and who will be lost on the way. It has small parts relating to Magnus Chase and The Triles of Apolo. All in all it is a great read. What an end to Percy's adventure that has spanned 10 years. This story roughly picks up from where the House of Hades finishes and gets right into the action. Whether it be the Nico Reyna storyline or the seven storyline, this was a really great read. I loved the way of how even though there were only five pov characters, you got into the mind of all nine characters, I even had to remember which pov I was reading at times! I really enjoyed the final battle and I loved the twists and turns. I definitely recommend this book to read! Bring on Magnus Chase!! I really liked this book as you really feel the suspense. It's also really easy to picture the scene in your head and imagine what else might happen. The bit I didn't like was the ending as I thought it was too rushed. Love the percy jackson books. Could read for years. Great end of the series! 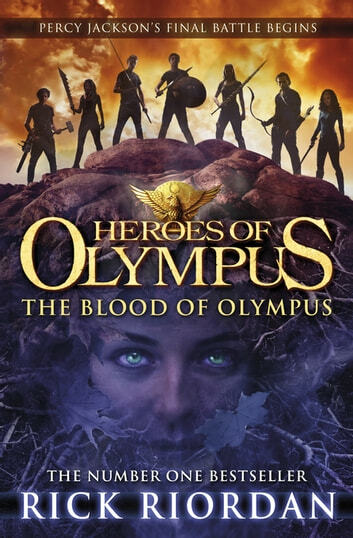 The last book of Heroes of the Olympus series didn't disappoint me. I recommend this book to everyone who has read previous four books. By the way, if you haven't yet met the whole series do yourself a favour by doing so! 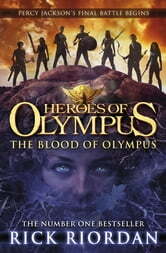 Heroes of the Olympus books are overall my favorite books of all time! The Blood of Olympus is still not the best book in the series because it includes one part that left me guessing. (If you're asking, House of Hades is the best one in my opinion of course) At ay rate, I love this book.